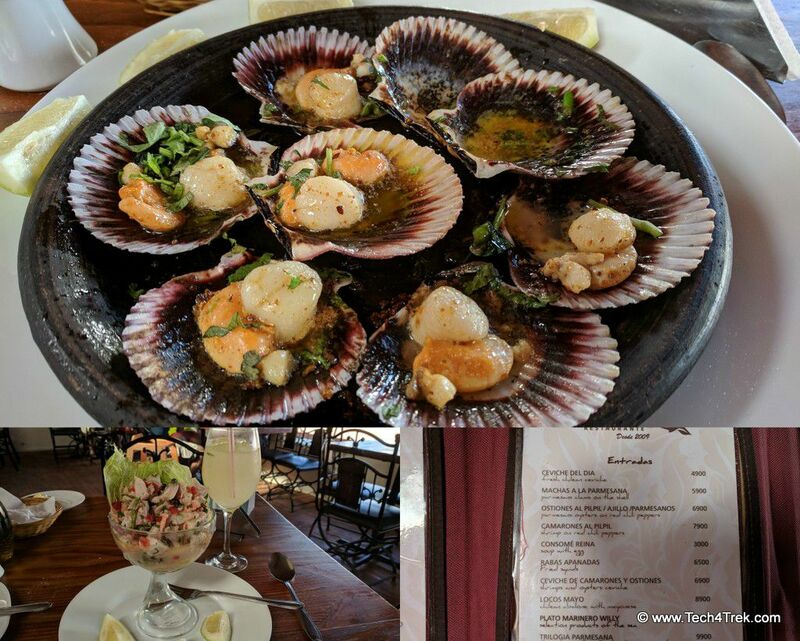 There are some great things to do in Valparaiso Chile, and its surrounding cities, Vina del Mar and Concor. 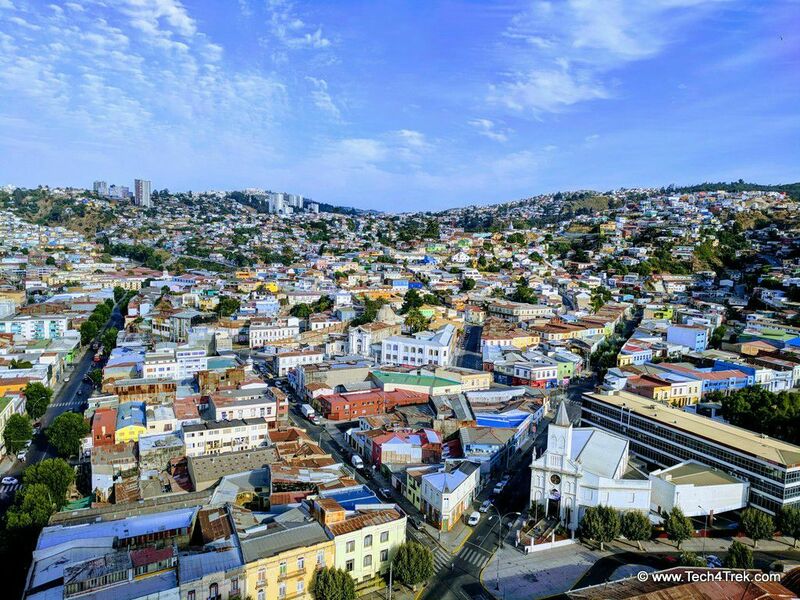 From "street art," to funiculars (hillside elevators), free walking tours, the Aquarium and exploring a lot of European immigration history, you’ll see why Valparaiso Chile is worth a few days of your time to explore. 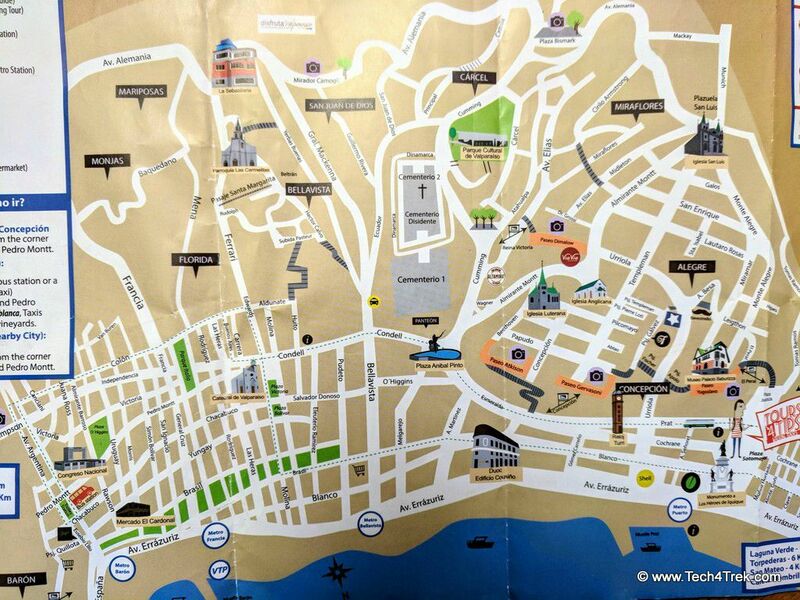 We’ll show you great tours, day trips outside this port city, the best Valparaiso, Chile hotels, a Valparaiso, Chile map and the best ways to get from Valparaiso to Santiago. Our first free walking tour in Valparaiso was with Tours4Tips (tours4tips.com), who offer four different free tours in Chile: Valparaiso, Viña del Mar, Santiago and San Pedro. Each city offers tours daily at 10am and 3pm, in both Spanish and English and they are roughly 3-4 hours each. Depending on the city, the morning and afternoon tours are different and cover different areas of the city. Both the Valparaiso and Viña del Mar tours were good, though I preferred the Viña del Mar tour. The Valpo Offbeat walking tour, on a Saturday morning at 10am, included at least 30 people, so it was a bit of a large group. The tour covered a lot of hills, history, landmarks, street art, politics and culture. 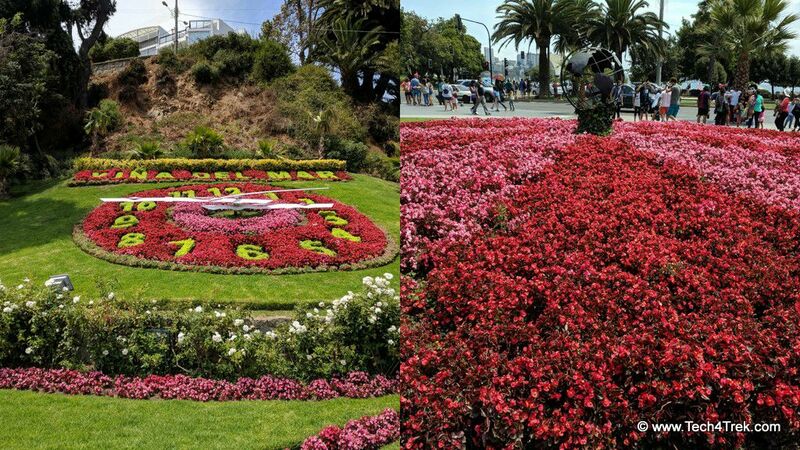 The Viña del Mar Highlights tour meets at the Flower Clock (Reloj de Flores), gifted by Switzerland for the 1962 World Cup and we learned how the flower colors are changed periodically to show various team colors (I think). We then moved to lots of photo opp spots, rode the subway, saw some beautiful architecture, the vacation home of the President and his guests and much more. 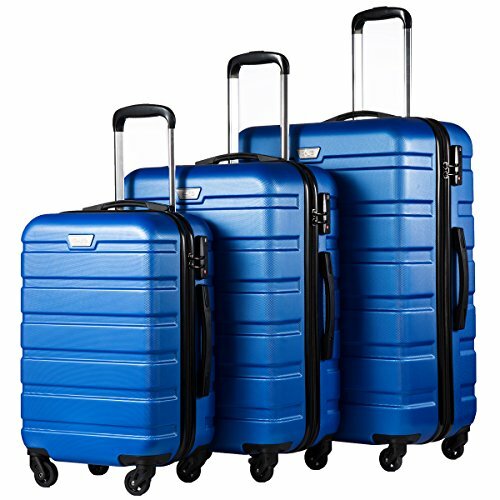 Tours4Tips FREE Valparaiso Tours are definitely worth checking out. Sportlife Gym – nicest gym in the area, great classes taught well so language not a barrier, lots of equipment and right on the water. Who doesn’t want to do their cardio with a view of the ocean? La Sebastiana – former home of Pablo Neruda, Chile’s beloved nobel prize-winning poet. The locals love to make a big deal of this poet and his three homes in Chile. Apparently he was quite a collector, as well as a character with somewhat of a past (which mistress decorated which house? I couldn’t keep track). La Sebastiana is in Valpo proper and Casa de Isla Negra, his vacation home, is about 1.5 hours away. Biking Tour – labicicletaverde.com – multiple bicycle tours through Valpo, Vina, Casablance Wine Valley and Santiago. I loved my Santiago tour though they didn’t have an English speaking guide for me in Valpo so I was unable to attend. 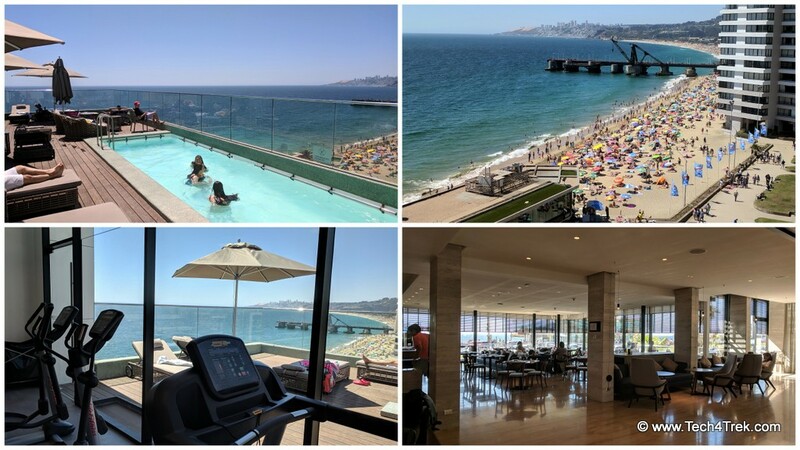 There are dozens of Valparaiso Chile Hotels, though I’m going to steer you towards staying in Vina del Mar, a much nicer area, along the water, with many more things to do. 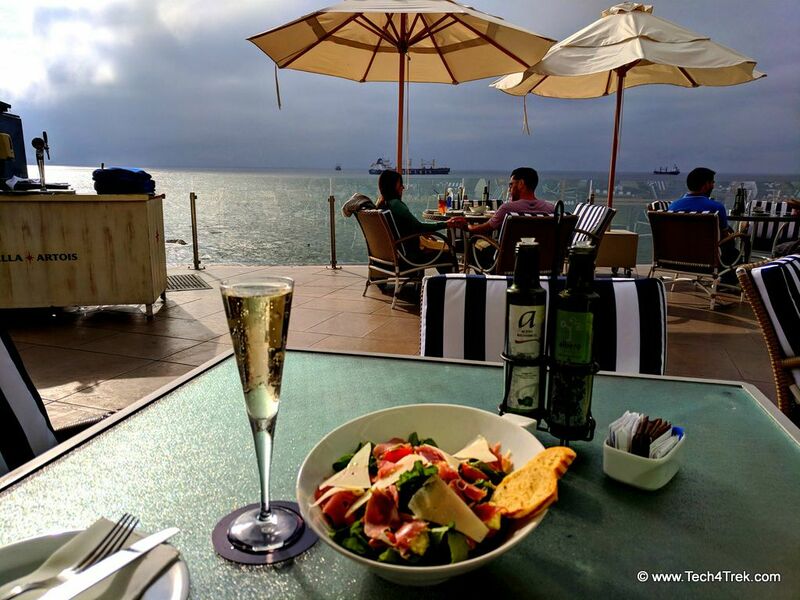 The 142 ocean view room Sheraton Miramar is located in a prime spot right on the beach and a few minutes from the Flower Clock. It is definitely worth a stay or at least a drink at the Farewell Bar. With outstanding 5-star service, a private location, a fitness center, full service spa, and fine wine and dining, there is little not to love about the Sheraton. The Atton San Martin is Vina’s latest addition with a modern, hip design, located right on the beach and right in the center of all the beaches and restaurants. The rooftop pool offers delicious views of the Ocean, as does the fitness center. What a delightful meal I had at Done Willy’s! The oysters with Parmesan and red chili peppers were amazing (I forgot to even take a picture before I dove in to the first two!) and the ceviche of the day was a huge portion complimented by a lovely glass of homemade Sangria. It’s tucked away in an alley, but not hard to find and totally worth visiting. 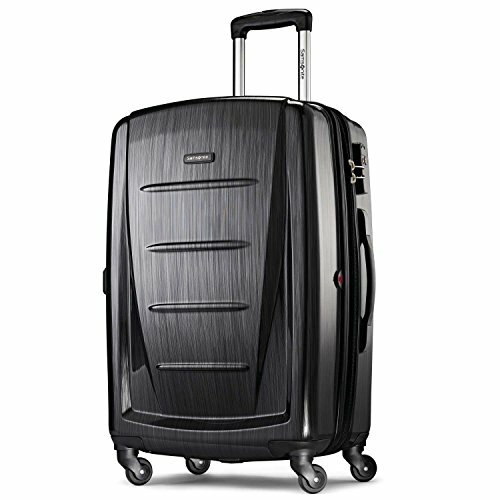 The two best methods to take you from Valparaiso to Santiago are by Bus or Private Transfer. Private Car – there are several companies, including Uber, who will charge $100-$150 for a one way private transfer between Valparaiso and Chile. The drive is about 1.5 hours. Bus – for those on a tighter budget, join the locals and take the bus, which costs anywhere from $7.50 to $15 and could not be easier to take. The bus station, Rodoviario (bottom left on the map above), is on Pedro Montt in front of the Congress building and both Turbus and Pullman (the brands) buses leave every 15 minutes to Santiago.